Turkey's finance minister says government has prepared "an action plan" aimed at easing market concerns as nation's currency plummets. Turkey's finance minister, Berat Albayrak, said on Sunday that the government has prepared "an action plan" aimed at easing market concerns that have led to a slump in the value of the nation's currency. 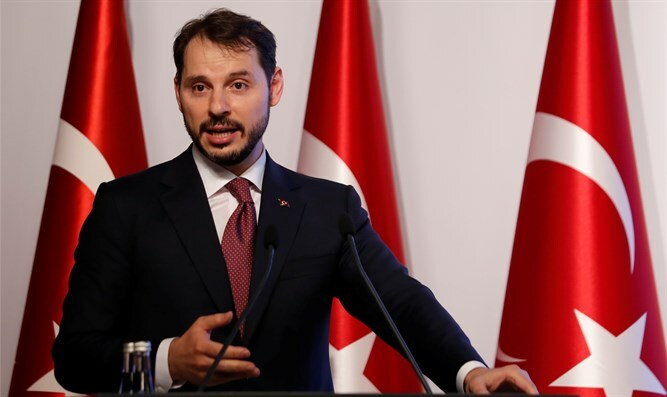 Speaking an interview with the Hurriyet newspaper and quoted by The Associated Press, Albayrak also said the government had no plans to seize foreign currency deposits or convert deposits to the Turkish lira. "As of Monday morning, our institutions will take the necessary actions and will share the necessary announcements with markets," said the Turkish minister. Turkey is facing an economic crisis after the lira nosedived 14 percent Friday over concerns about the government's economic policies and a trade and diplomatic dispute with the United States. The currency's value has fallen more than 40 per cent since the start of the year. On Sunday, the Turkish lira sank to a record low of 7.24 to the dollar. U.S. President Donald Trump last week imposed higher tariffs on imports from Turkey, including a 20 percent duty on aluminum and a 50 percent duty on steel. The move came amid a series of disputes between the countries, including the case of American Pastor Andrew Brunson, who has been detained in the country for more than a year on terrorism charges. The Turkish Foreign Ministry has vowed to "retaliate" against the U.S. sanctions, calling the American move a "hostile stance". Earlier on Sunday, Turkish President Recep Tayyip Erdogan warned of drastic measures if businesses withdraw foreign currency from banks. Speaking in the northeastern city of Trabzon, Erdogan warned business executives to not "rush to banks to withdraw foreign currency." Erdogan also claimed that the financial crisis has resulted from "an operation against our economy conducted through exchange rates" and said Turkey would prevail.